September has been a busier month than expected, and I just realized it's been weeks since I posted here! 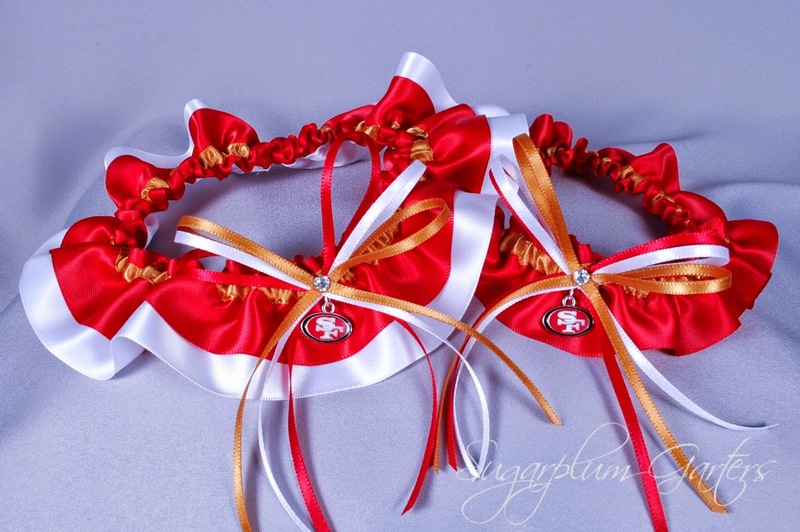 Football season is in full swing, and this garter set seemed like the perfect one to share today. It should have arrived late last week at California bride Marie's house ~ let's send her warm wishes for her October wedding!